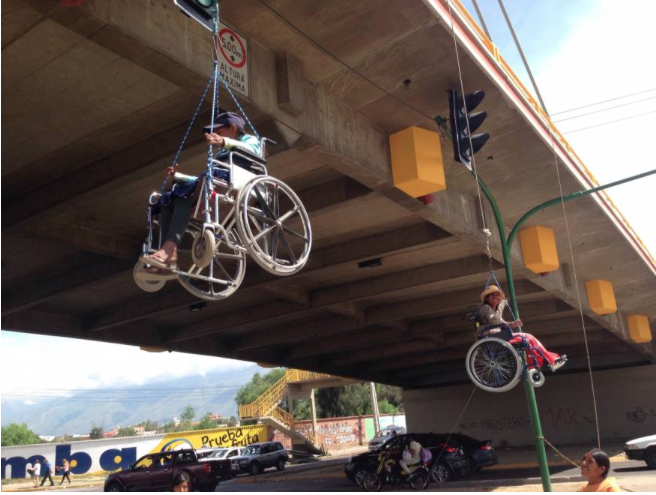 Desperate situation in Bolivia had the handicapped marching on the capital. Check out what this guy decided to do about it. The situation in Bolivia was dire: Persons with disabilities had launched repeated appeals to the government for more help, but their cries fell on deaf ears. So they decided to make their way straight to government’s seat in the hopes their voices would be heard. Some 150 of them along with other supporters set off for the capital, many of them on crutches and in wheelchairs. The trip was 386 km (240 mi) and took over a month, leaving a number of the protestors hospitalized on the way. Arriving in April of this year, they set up camp in the Plaza de San Francisco, but soon after had their tents cut down and were forced to move. After several months camped out around the Plaza Murillo, the group still had not been granted a meeting with the president nor had their petitions been granted. Fabián Aguirre, a Pilgrim Mother missionary in La Paz, decided he couldn’t just sit back and watch the situation unfold, especially during the Year of Mercy, and especially given the situation of the disabled children: disability in Bolivia means very little chance of obtaining even a primary school education. A singer and songwriter, Aquirre decided to put his God-given musical talents to good use and perform a small work of mercy for these children. To help him out, he gathered together a crew of talented musicians and artists – all of whom generously donated their time and talent. Aguirre’s efforts also received official backing from the Bolivian Episcopal Conference. 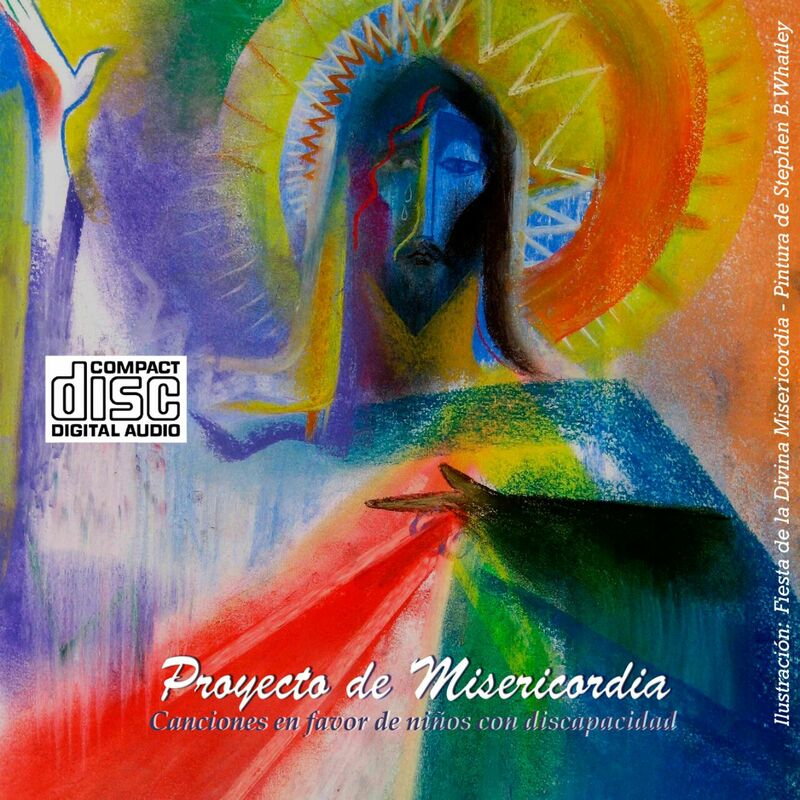 The outcome of this collaboration was Mercy Project, (Proyecto de Misericordia), a seven-song album, combining Bolivian pop and rock rhythms with traditional Catholic inspiration. And all the proceeds from the album are going to children with disabilities who receive support from the St. Martin de Porres Center in Bolivia. The album features two original songs centered on God’s mercy, a Eucharistic poem, and several prayers set to music – the Anima Christi, the Chaplet of Divine Mercy, and the Gloria. The album’s artwork was created by English Catholic expressionist painter Stephen B. Whatley, along with Italian-Bolivian painter Ana María Dalenz. 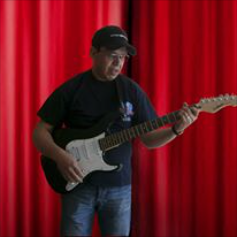 You can preview the album and purchase your own copy – with all proceeds going to the service of handicapped children in Bolivia – on iTunes and Spotify. If you want to help and enjoy The Mercy Project, use the following link to get it! This entry was posted in Art, Bolivia, La Paz, Social Unrest and tagged Bolivian rock music, catholic believers, Catholic Church, music. Bookmark the permalink.